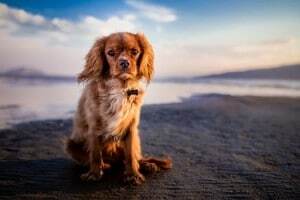 I’m delighted you decided to get my free Hidden Secrets About Communicating With Pets ebook because knowing how to communicate with animals is critically important to their well-being, and yours too. 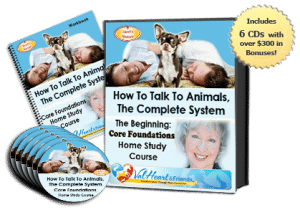 In your ebook, you’ll learn the 3 Fundamental Principles EVERY animal talk student must know to get good results and an instant connection. You’ll also discover how to SEND messages to animals. Did you know you can send messages to any animal, anytime, anywhere!? Isn’t that awesome!? Talking with animals makes all the difference in the world and can change your life. Right now, you have a onetime opportunity to save $100 off the Beginning Core Foundations Course! The Beginning Foundations Course teaches you how to engage in 2 way conversations. You’ll come away with a much greater understanding of how animal communication works, how it feels, how to use it to improve your relationships with animals and how to connect at the heart mind level. What do they know that you don’t, yet? In the Beginning Course, you’ll get my best tips, techniques and guidance on how to access and improve your intuition so you can open the channels and connect at the heart and mind. You’ll begin learning how to solve behavior and training problems, heal health issues, listen to what’s on your animal’s mind and heart, know how they feel, where they hurt and why. A digital self study course, there’s no need to juggle your schedule to attend a live course. You can go through it on your own time and you’ll never miss anything. Today as a thank you for getting my ebook, you can save $100 Off the best selling Beginning Core Foundations Course! Get it now for only $397. Payments are available too! It’s fully guaranteed so there is no risk to trying it out. Because I’ve seen firsthand how my proven, proprietary teaching system works for 1,000’s of animal lovers all over the world for over 10 years…. 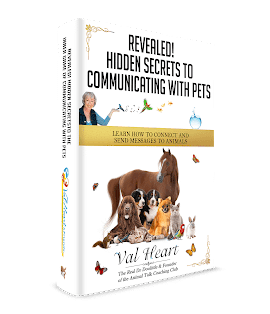 And because I believe strongly in the value and quality of the Heart School courses to substantially increase your animal communication skills, advance your intuition, deepen understanding and improve your animal caretaking. I confidently back all my courses with a Better Than Free, 30-Day, Money-Back Guarantee. Click the Link. Save $100 and You’re IN! Yes! I Want To Know How to RECEIVE Messages From Animals and am Saving $100 too!